This fall, my friend and fellow fisherman, Arkadi de Rakoff (Kadi) spent two weeks filming Healing Waters Lodge, our guides and the rivers we fish in Montana. There isn’t anything ambivalent about the landscape of Montana, it overwhelms the senses with something raw, pure, and wild. The landscape of Montana inherently dominates your being whether you are a first time visitor or lifelong resident. Kadi’s video pays tribute to the visual splendor we call home. We made a conscious effort to tell the story of Healing Waters Lodge through the eyes of the guides who live and work here. We feel we can have the nicest rooms, the best food, but if we don’t have good guides we are out of work. The guides make our business and business is thriving. This video is an effort to pay tribute to men and women who guide for us. Laura and I also implicitly understand the importance of everyone making Healing Waters Lodge a destination for our guests. Our hospitality staff: Chefs, servers, housekeepers, and grounds keepers create something we are proud of everyday. Their work and efforts are critical in keeping our doors open. 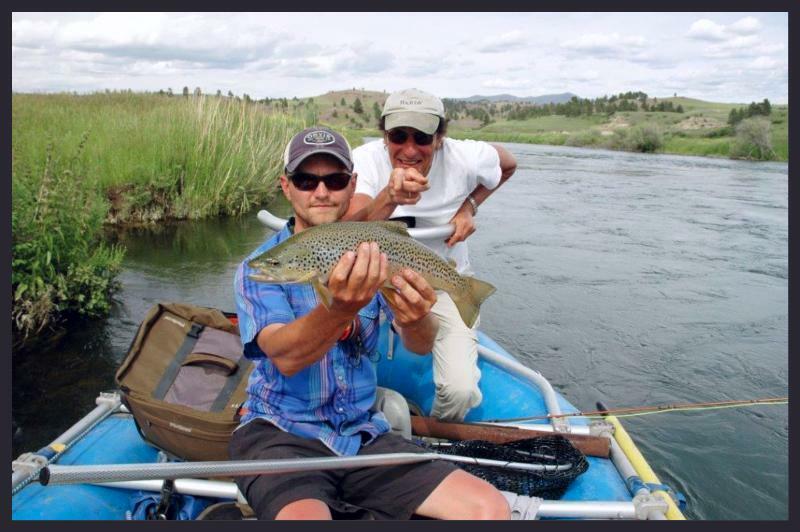 We appreciate and value everyone affiliated with Healing Waters Lodge, and for allowing us to bring genuine hospitality and the joy of fly fishing to all of our guests.